If you think that our Golf on Thunder Mountain cabin sounds like a vacation destination, you would be absolutely correct! This stunning 4 bedroom cabin not only offers comfortable lodging, but a fantastic assortment of entertainment options including an outdoor putt-putt course! This custom designed miniature golf course has been designed just for this cabin and it is only available to its guests. Forget about waiting in lines while playing miniature golf in Pigeon Forge as you can play at your cabin to your heart’s content. Of course, the fun at Golf on Thunder Mountain doesn’t stop with the putt-putt course. 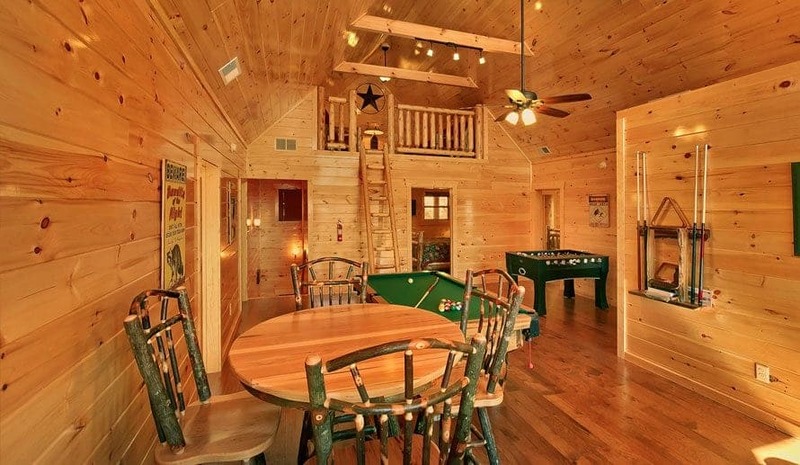 This cabin also features a game room with a pool table, Jacuzzi tubs, hot tub, arcade machines, jukebox and a home theater room with a 73 inch flat screen television! Mountain Top Retreat is an amazing 8 bedroom cabin that features unbelievable amenities such as oversized decks with gorgeous mountain views, hot tubs and more! One of the highlights of this cabin is a private indoor 18 hole miniature golf course on the lower level that you have to see to believe! Grab your putter and challenge your family and friends to a round of miniature golf or organize an exciting tournament that you can play throughout your vacation. 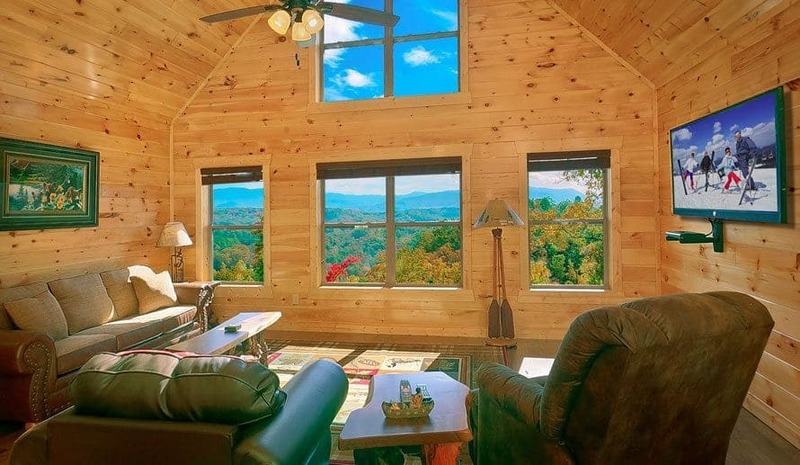 Mountain Top Retreat is perfect for wedding parties and other large groups as it offers plenty of space to relax among the beautiful scenery of the Great Smoky Mountains. The cabin also contains a fully equipped kitchen for efficient meal preparation including two stoves, a large refrigerator and pantry. 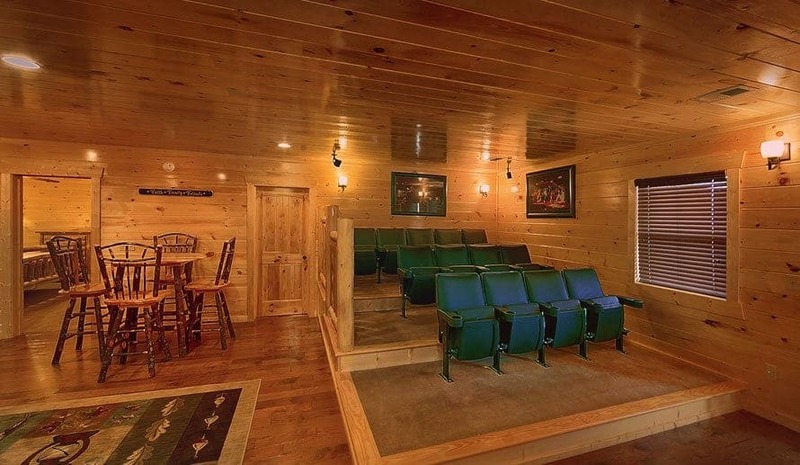 If you are looking for other entertainment options in addition to the mini-golf, the Mountain Top Retreat has a movie theater room and an incredible game room! 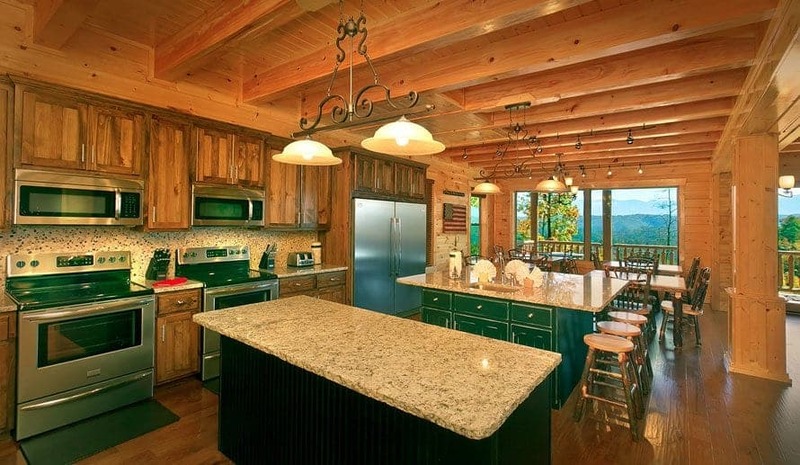 Large Cabin Rentals offers the best cabins in the region for group vacations to the Smokies! Our cabins are situated in beautiful locations among the mountains but are just minutes from the many sights, shows and attractions in Pigeon Forge. 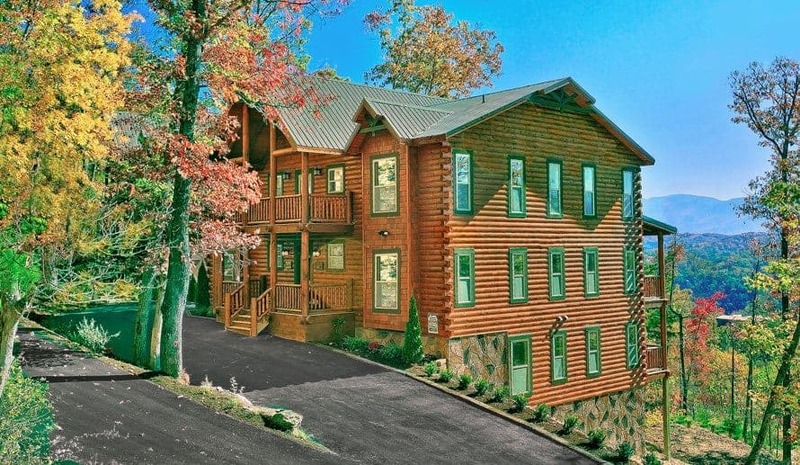 We understand that our guests are looking for more than just the typical Smoky Mountain cabin experience, so we have created the most unique cabins in town. 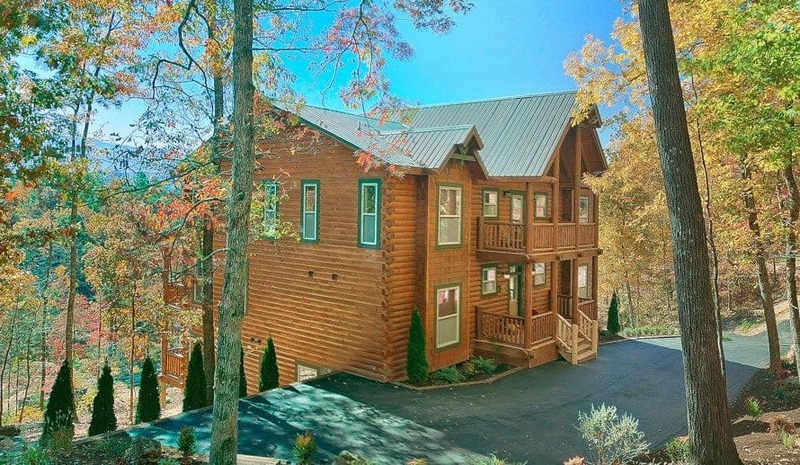 Whether you are planning a family reunion, wedding function, corporate getaway or other large group vacation, count on Large Cabin Rentals for the top cabin experience in Pigeon Forge! 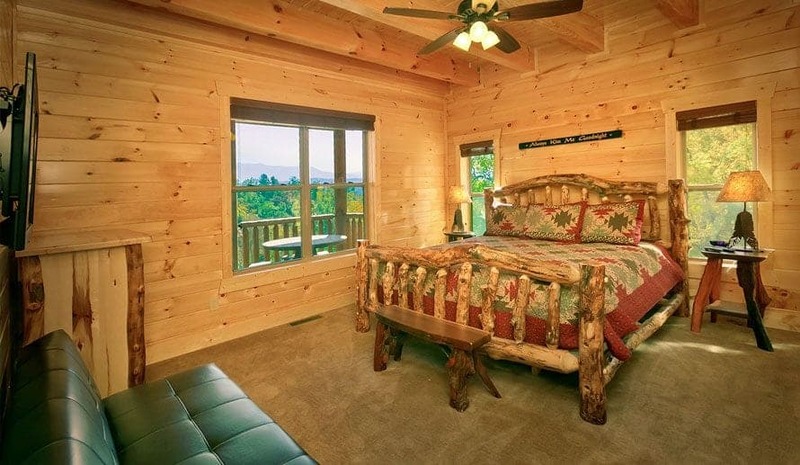 Check out all of our large cabins in Pigeon Forge today to enjoy exclusive amenities such as your own private miniature golf in Pigeon Forge, home theater rooms and more! We look forward to seeing you soon at Large Cabin Rentals!